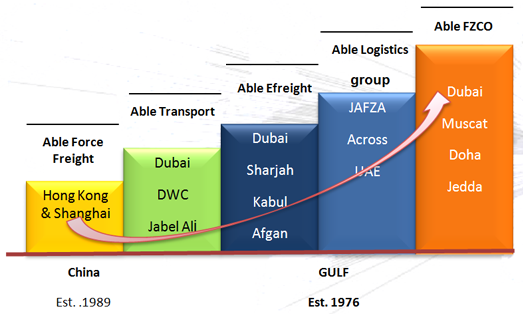 Established in 2001, Able Logistics Group is a multi-disciplined logistics company offering a variety of services across the entire supply chain process. Able Logistics Group of Companies is embarking on an expansion strategy to create a fully integrated logistics service across the globe . For more than a 8 decades, we as an organization have evolved to meet the demands of changing times while maintaining our commitment to service.